The most romantic bedrooms often have the simplest decors. After all, money simply can't buy that special something between two people. So all you really need are a few sensory prompts to remind you and your partner of the intangible quality that makes you feel so special to one another. So what are the most simple and romantic bedrooms around? Well, today we've scoured through our archives to find a few precious and romantic bedrooms to get you inspired. Ready for love? Then come with us on our romantic little tour! We experience our homes with all the senses, and some argue that the most important one is touch. So make sure the bedroom feels super comfortable with a deep, plush rug. An appealing scent will go a long way towards making your bedroom feel romantic. 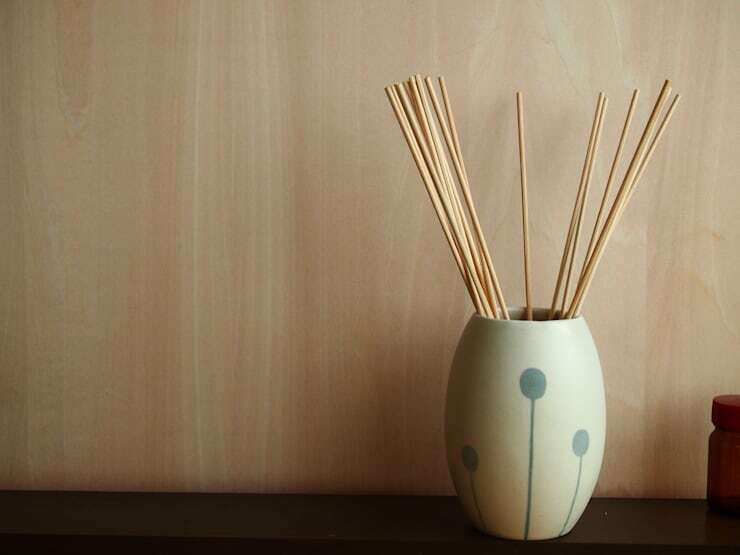 We tend to feel that diffusers are better than oil burners because they are easy to keep clean and continue to work throughout the day. Indulge in a super-sized ceramic pot with lots of sticks. We just love, love, love the bed net in this romantic bedroom. It has more than a hint of fairy-tale romance. This kind of thing could easily be created with a few hooks and pins. It will make you feel like a princess! 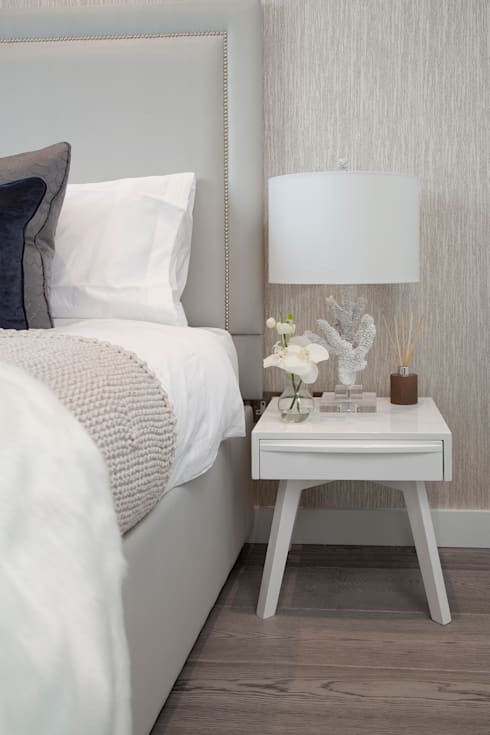 Although flowers are a cliche when it comes to romance, they really do make a bedroom feel that little bit special. The easiest and cheapest way to make a floral arrangement is by cutting just a few white flowers and putting them in a transparent bowl half filled with water. A love seat is a very cute option that could easily be created with a few cushions arranged in a corner nook. 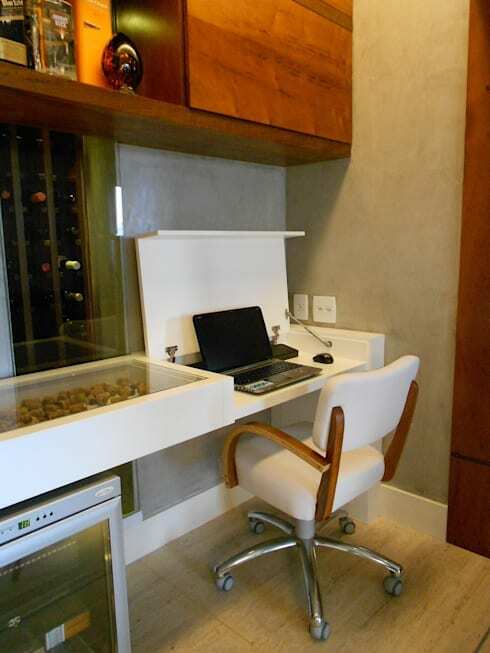 It will become a place to debrief, relax and simply enjoy each other's company. Electrical gadgets are the biggest, baddest enemies when it comes to romance. Sure they are a great way of keeping in touch, but they really don't help once you are with your partner in the bedroom. They also disturb your precious sleep. So if you have a workstation or home office set-up, set it up so it's well out of sight. A cutesy photo of you and your best friend doesn't really have a place right by the bedside. 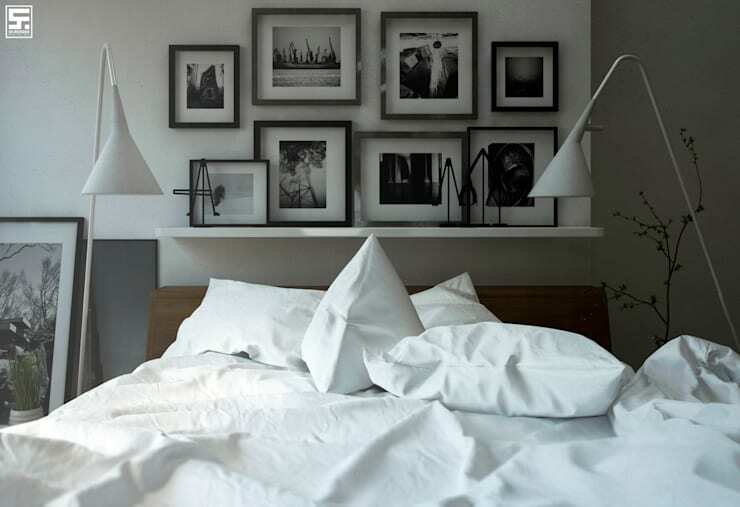 Instead, decorate your bedroom with neutral decorations or pictures of you and your intimate companion. Add an extra pillow or two to the bed. It will encourage you both to slumber in bed just that little bit longer and of course, spend a little more alone time together. A decorative light is an excellent to the bedroom because they are soft on the eyes and help avoid the potential fire danger of candles. Turn off the harsh overhead light and you'll discover that they are incredibly flattering as well! 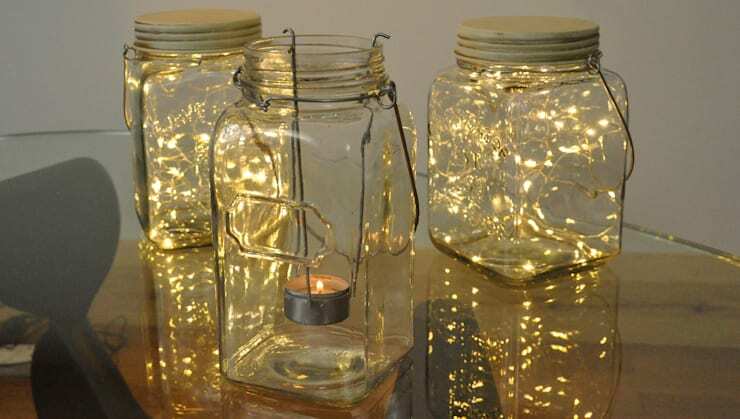 These cosmic jars are made by Headsprung designers. Furniture set low to the ground tends to make a room feel like a place to let go and relax. This is an important part of romance for many of us, so take a relaxed approach to furnishings and simply prop things on the ground. This final tip is totally dependent on your individuality. A romantic bedroom is a place to dream and enjoy private flights of fancy, so it really needs a personal touch. This is a hint of those unique qualities that make you and your partner so special to each other. So don't be afraid to show off your projects of passion. 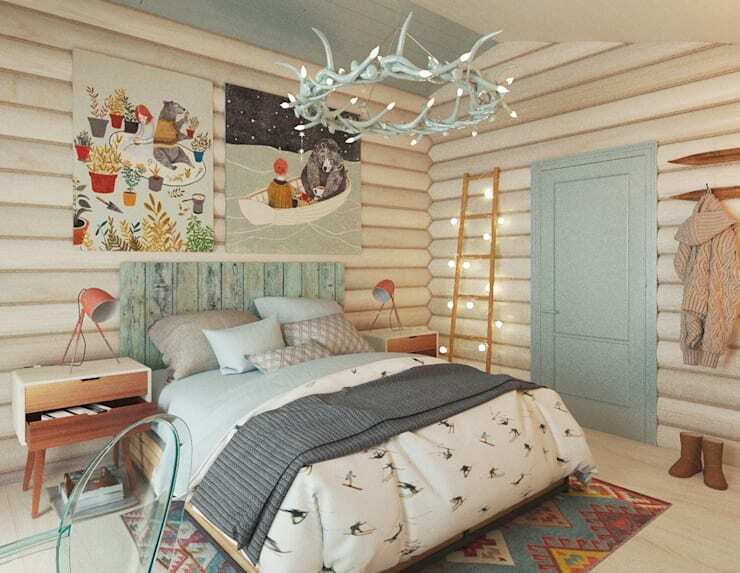 On this last point, for more inspiration have a look at 15 original decor ideas for small bedrooms. Do you have any more romantic bedroom tips for our readers?